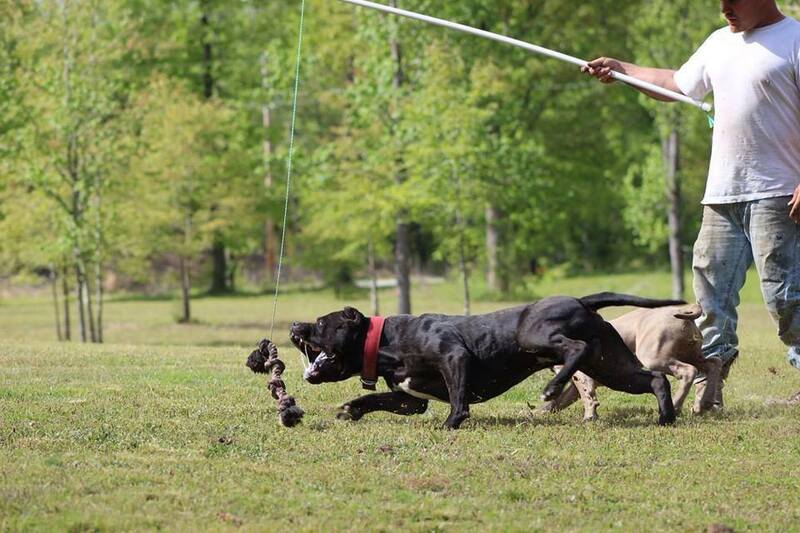 Pictured above: Riddick from Manmade Kennels and his owner Mike Hughes working with a flirt pole. Manmade Kennels is one of the many champion breeders sponsored by Bully Max. You can even make a flirt pole using household items. An old broom stick, rope, and rag. Most body builders build their muscle 20% in the gym and 80% in the kitchen. This is no different with dogs. That’s why we recommend giving your dog Bully Max Muscle Builder. It’s a chewable flavored tablet you give your dogs after workouts. Not only will your dog love the taste but this one tablet will contain everything needed to build muscle and aid in recovery after a great work out! So build yourself a Flirt Pole, find some grass, and get your dog jumping!